Indications:For the drainage of body fluids including ascites and pleural fluid. 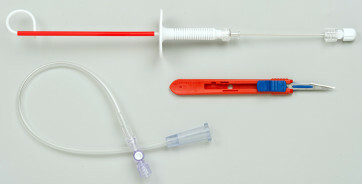 For insertion into, but not restricted to, the abdominal cavity and chest using a ‘direct stab’ technique combined with aspiration and/or ultrasound guidance. 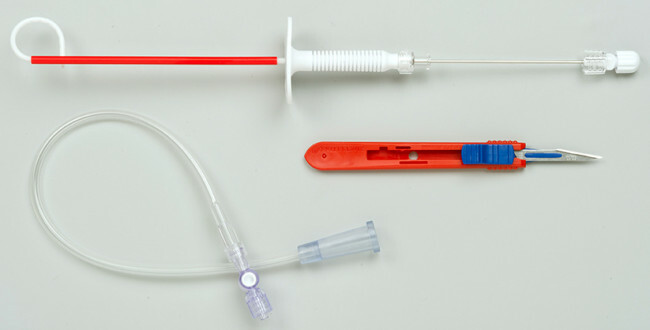 CE MARKED, PURPOSE DESIGNED DEVICE, designed specifically for paracentesis/drainage of abdominal ascites and other drainage applications which avoids the risks of inappropriate use of non specific devices such as generic suprapubic drains. SOFT, KINK FREE 8FG catheter material, improves patient comfort and prevents unnecessary catheter blockage caused by thin walled materials.